Wall Unit (2018) is a visual exploration of interior decorations and their sociohistorical roots. 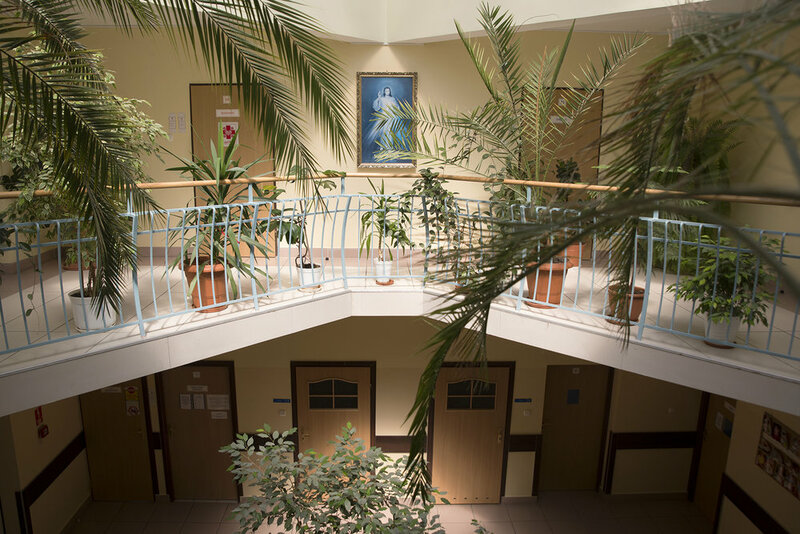 In the project, through the photos of furniture from the socialist era, individual decisions made inside of private spaces testify of the collective history of the nation. 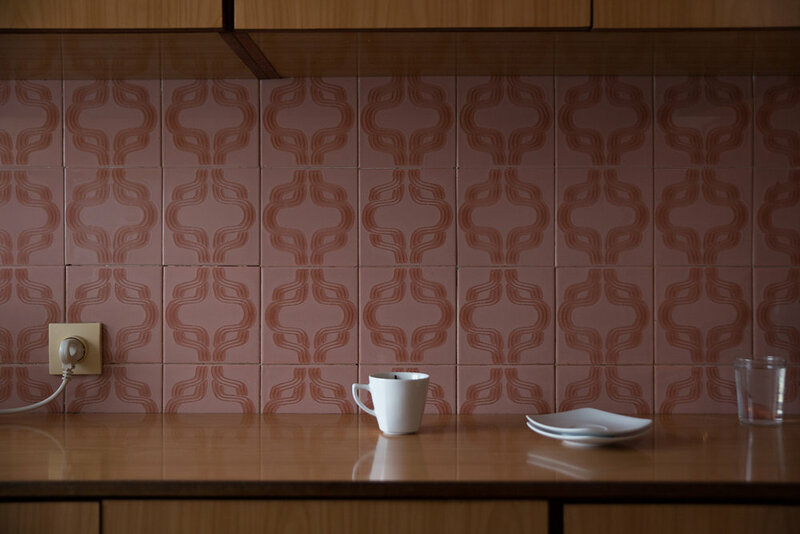 Wall Unit uses the material remains of the system as a tool for investigation of how socialism influenced contemporary taste and aesthetics in Poland and neighbouring Lithuania, where I grew up. The tabloid format of Wall Unit was inspired by newspapers from the socialist period and chosen deliberately to convey the impression that the work itself could have been a part of the interiors from that time. Can you tell us more about the artistic practice behind Wall Unit? Wall Unit is my ongoing exploration of interior decorations in suburban Poland where I grew up and neighbouring Lithuania. The zine is comprised of images I shot in that area. I am interested in taste - what we like, what aesthetic choices we make and why. My main source of inspiration is Eastern Poland. For me, documenting the striking aesthetics and contrasts in the region is a way to reconnect with my past and re-analyse the environment I grew up in. As an immigrant living abroad, every time I visit Poland I reconsider what I see. An exploration of public and private space in search for details and testimonies of the choices people make that reflect the lives they lead, is my way of decoding that environment and a great source of inspiration too. What is your own relationship with post socialist Poland/Lithuania? I was born after the fall of socialism in Poland, yet everything around me reminded me of it. The spaces and aesthetic details I used to take for granted when I lived there became something I seek for in my work. The aesthetics of the previous era was very present throughout my childhood in the decorations, furniture, colours. I remember all the stories told by my relatives, as well as films and books from that time. I am trying to understand the impact that socialism had on the current Polish and Eastern European public and private space and analyse the roots of its growing popularity worldwide. Any words for aspiring photographers and journalists? It’s important to be passionate about what you do and to find a subject that truly inspires you. What aspects of socialist interiors really stuck out in your own work, shadowing the design itself? It was the contrast between the system I lived in and the remains of the previous, unknown to me era that I saw in the spaces around me that stuck in my mind. For example, entering any public buildings such as post offices, town halls, hospitals felt like travelling back in time. Dim corridors with windows covered by layers of thick curtains, ferns, high gloss surfaces, the smell of a school canteen, old interiors with the same Christmas decorations reused every year, with cotton wool substituting fake snow... These elements and their mystery were very present in my reality as a child. Is the work currently exhibited anywhere? What’s in your plans for the future? My solo show Disco Polo: Between East and West is currently on display @ project room @ Hilger NEXT in Vienna until 27 April, and a new photographic project is on its way.